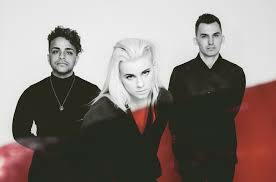 PVRIS had been teasing the fans over the past 24 hours with snippets of the video for "What's Wrong". The cat is out of the bag and the video is now on the interwebs for your viewing pleasure. The band's upcomig record, "All We Know Of Heaven, What We Need Of Hell", will be released on August 4th via Rise Records.